Euler Hermes has established a new digital and transformation team to “activate the group’s transformation and materialise its ambition of becoming the most innovative B2B insurance company”. 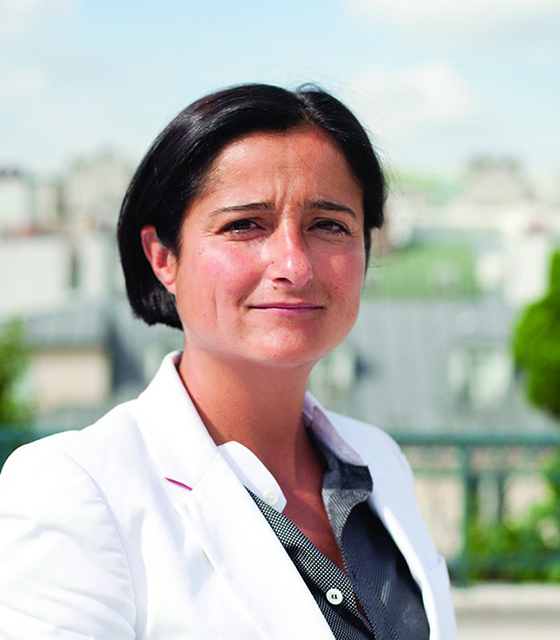 The new team will be headed by Virginie Fauvel (pictured), who was appointed the group’s chief transformation officer in January, joining from Allianz France. The Euler Hermes Digital Agency, a project established in 2015 with the goal of partnering with innovators to better manage credit risk, will be part of the new team. It has to date been run under the group’s risk department. Marion Silvain and Charles Ruelle have taken on new roles as co-heads of the Digital Agency, after its previous head, Louis Carbonnier, left the company in February. They will be in charge of running new experiments and testing new business models and also work on scaling up current projects. Silvain joined Euler Hermes in 2015 as head of the group CEO office and over the past few months has been in charge of the IATA programme within Euler Hermes, working closely with the digital agency. She was previously a consultant at Roland Berger for seven years. Ruelle has been with the Euler Hermes Digital Agency since January last year as its head of innovation. Among other roles, he has previously worked as a global trading director at Socialyse and as the chief technical officer of Etalab, the French prime minister’s task force for open data. Meanwhile, Nicolas Polaillon will lead Euler Hermes’ newly-created data lab as chief data officer. He has been in this role since he joined the insurer in 2016, but will move from the risk department to become part of the new transformation team. Before joining Euler Hermes, he held a similar role at Blue DME, a data management and exchange startup, and before that worked at the French telecommunications firm SFR. Other appointments include Valia Papadea, who will head a new structure that the group has named the “continuous productivity improvement and value creation” team, which will explore and implement new technologies and ways of optimising processes. Papadea has been with Euler Hermes since 2008, most recently as head of the group’s CFO office. Prior to Euler Hermes, she worked in Greece for eight years in financial consulting and project management. Finally, Max Cadena will become Fauvel’s head of office, supporting her in setting the transformation agenda while acting as head of financial steering for the new team. Cadena joins from Allianz France, where he was also head of Fauvel’s office.